Ascade, the global market-leader in advanced Routing, Billing and Quality solutions for the Interconnect market, today announced that its flagship routing solution has been successfully implemented at Telecom Egypt. Telecom Egypt, the state-owned incumbent fixed line operator in Egypt, offers retail and wholesale voice and data services and is widely recognized as one of the most advanced operators in Africa and the Middle East. Telecom Egypt also owns a 45% stake in mobile operator Vodafone Egypt. As part of the project AscadeRoute, AscadeActivate, and AscadeAssure have been implemented and integrated with a variety of third party solutions. This allows Telecom Egypt to automate and optimize the international voice traffic management including the analysis of the supplier Carrier offers, optimal routing selection and implementation of the routing choices in the network (Network Provisioning). Ascade has teamed up with Giza Systems, a leading systems integrator in the Middle East, to combine its advanced interconnect software solution with comprehensive local integration and support capabilities. "We selected Ascade's interconnect business suite because we are convinced of its capabilities", Telecom Egypt commented. "It is our expectation that the Ascade solution will enable us to further enhance our international voice business, and we were also impressed by the strong Partnership between Ascade and Giza Systems." Ahmed Kamal, General Manager Telecommunications Unit at Giza Systems, adds: "The combination of our Consultancy and Integration expertise in Egypt together with the strength of the market-leading interconnect business suite from Ascade provided an ideal platform for a successful project". "Telecom Egypt typifies the kind of fast-growing innovative service provider that Ascade is serving throughout the African and Middle Eastern region", comments Ascade CEO Klas Peterson. "We understand the market demands and the pace and we are proud that Telecom Egypt has chosen Ascade as long term partner for its interconnect and wholesale strategy", continues Mr. Peterson. Telecom Egypt (TE), Egypt's incumbent telecommunications operator, started its operations in 1854 with the first telegraph line in Egypt. Then it was corporatized in 1998 to replace the former Arab Republic of Egypt National Telecommunication Organization (ARENTO). The Company is the largest provider of fixed-line services in the Middle East and Africa with 9.4 million subscribers as at 30 September 2010. TE provides retail telecommunication services including access, local, long distance and international voice, Internet and data, and other services. The company also provides wholesale services including bandwidth capacity leasing to ISPs, and national and international interconnection services. Telecom Egypt's services also include the provision of narrowband and broadband internet access through its subsidiary TE Data. TE Data has active operations in Egypt and Jordan. TE currently participates in the mobile segment in Egypt by providing mobile interconnectivity through its current, increased 44.95% holding in Vodafone Egypt, one of the three existing Egyptian mobile operators. TE's shares and GDRs (Ticker: ETEL.CA; TEEG.LN) are traded on the Egyptian Exchange and the London Stock Exchange. Giza Systems is a leading systems integrator that contributes to local and regional technology development. The company provides end-to-end solutions, in addition to consultancy services which help businesses streamline their operations, reduce costs, drive better performance and build a competitive edge. The provided technology solutions and services are empowered by partnering with an outstanding pool of world renowned technology leaders. Giza Systems also provides extensive services to its clients, due to their positive perseverance and constant quest to raise standards of performance. Giza Systems was founded in 1974, making it one of the leading IT companies in the world. 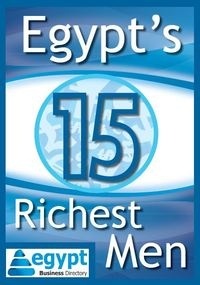 It has become a joint venture company and has widely expanded in Egypt through the opening of several branches. The company then moved to a new phase of expansions in the Middle East region, opening their first branch in Saudi Arabia in 2003 under the name of "Giza Arabia" and in the United Arab Emirates in 2008. Ascade is an independent Swedish software company dedicated to providing solutions that improve the business performance of telecom carriers. Customers include Telstra, Hutchinson, Vodafone, Lebara, Orange, Telenor, Tata Communication, iBasis, SingTel, Telekom Malaysia, Etisalat, Mobily, STC, du, Batelco, Allstream, Elisa, Gateway Communications, Rostelecom, KT, Telekom Serbia, Lattelecom, Sunrise, A1 Telekom Austria, Qtel, DTAC, TalkTalk and more. Ascade AB is a privately held company owned by founders and leading Nordic investment firms CapMan, listed on the Helsinki Stock Exchange, and SEB Venture Capital, the venture capital division of Nordic financial services group SEB, listed on the Stockholm Stock Exchange. Through its presence in Sweden, Dubai, and Singapore, Ascade provides support to its customers worldwide.